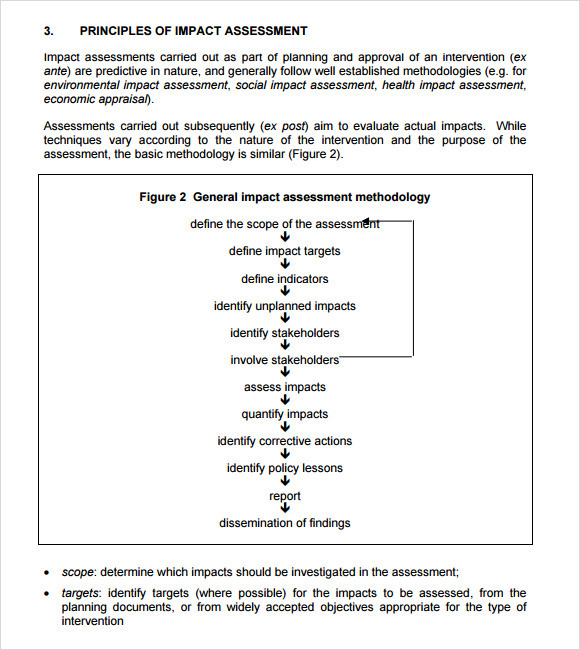 Impact assessment has become a very important issue in almost every other industry. Before any kind of promotion or launch of a product, impact assessment has become essential. 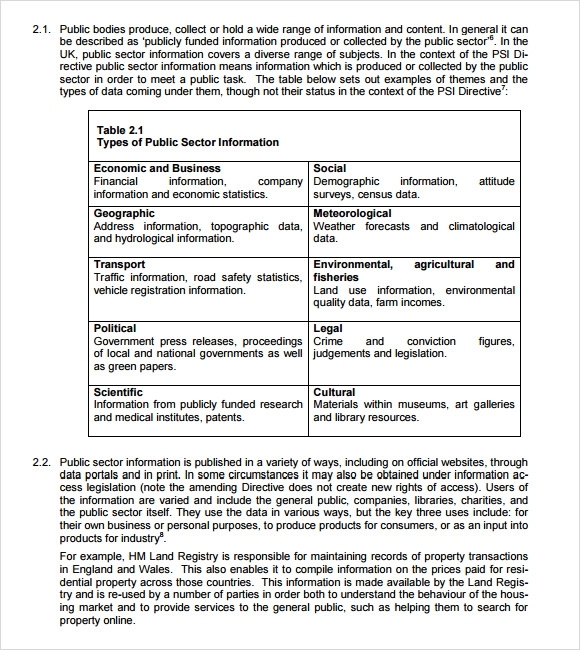 There are a plenty of samples and Project Scope Templates examples of these impact assessments that are available over the internet, often for free downloads also. You may like Project Assessment Templates. 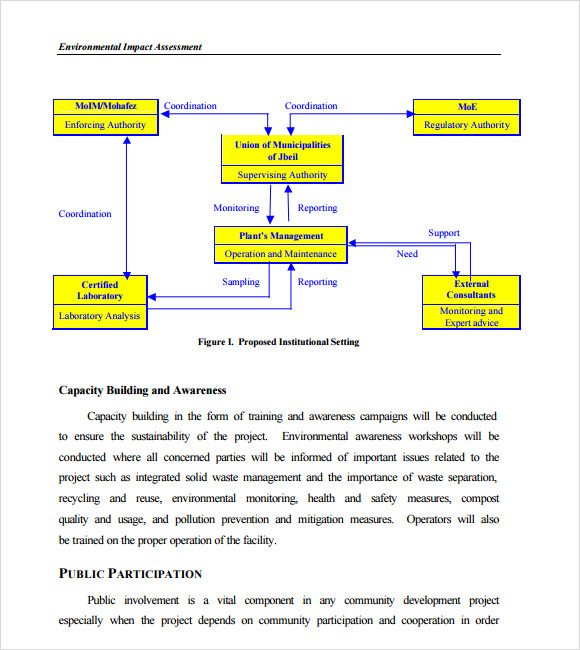 A generic impact assessment template often constitutes of fields such as identification of the motive of the project, the extent of sustainability of the Project Scope Templates and the evidences in support of the aforementioned criteria. These criteria can be further subdivided according to the specifications. The most manageable format for these templates are Word and Excel. You can also see Software Assessment Templates. 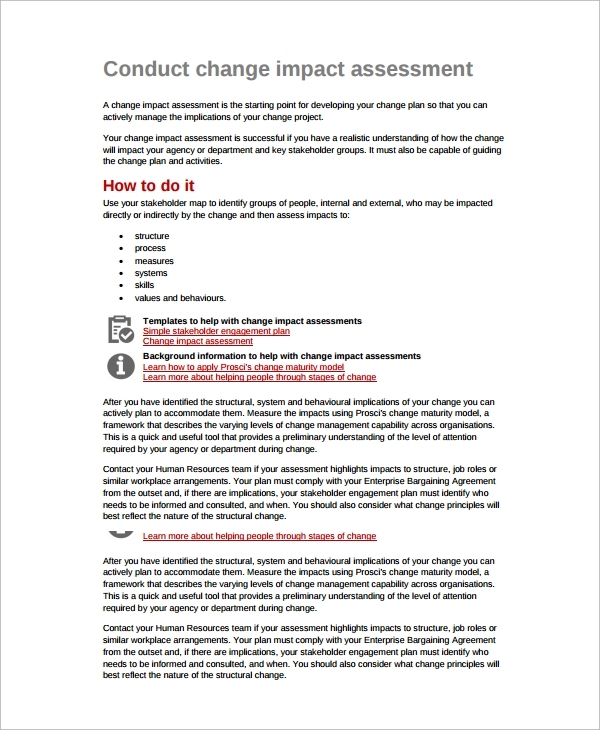 The Impact Assessment Template Change Management features plan, analyse and design, build and test, pilot, and then deploy stages to ensure that the change gets applied efficiently without impacting the current business processes. 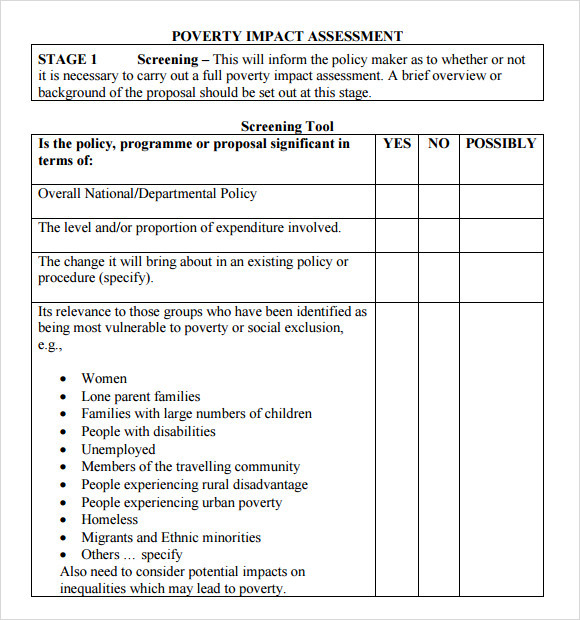 The Poverty Impact Assessment Template helps you to determine the actual poverty ratio in current segment of the society and suggests the impacts of the action that is planned to get applied on a weaker section. 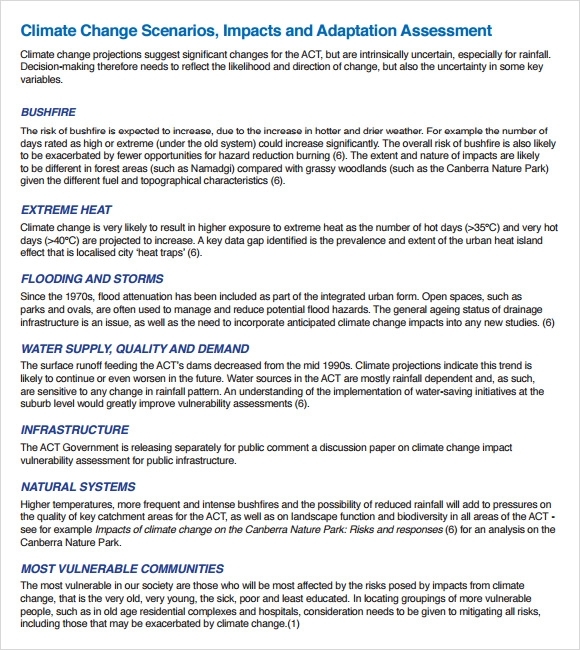 The Climate Change Impact Assessment Template helps you to enlist, analyse, and create a detailed report about the expected impacts of the changing climatic conditions on your business projects and processes to ensure that you never experience a downward curve. 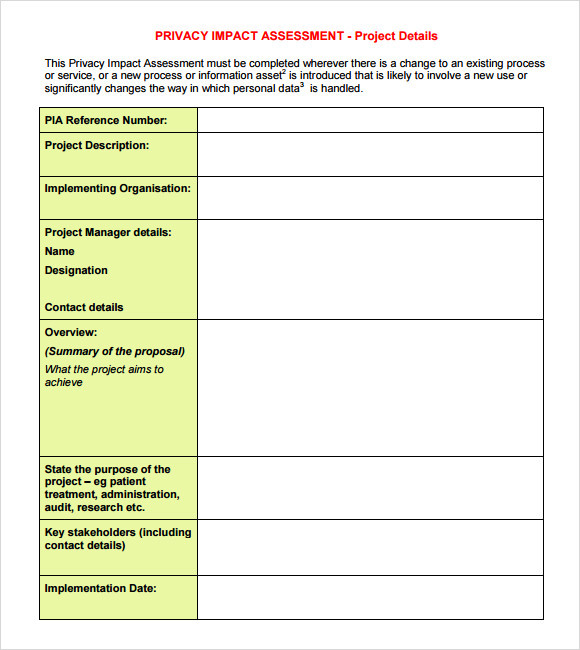 Using and re-framing these templates for creating robust change management, impact assessment, and project success measurement purposes can be highly useful. All you need to do is to enter your relevant details in the template to come up with a detailed impact management strategy. You can also see IT Assessment Templates. 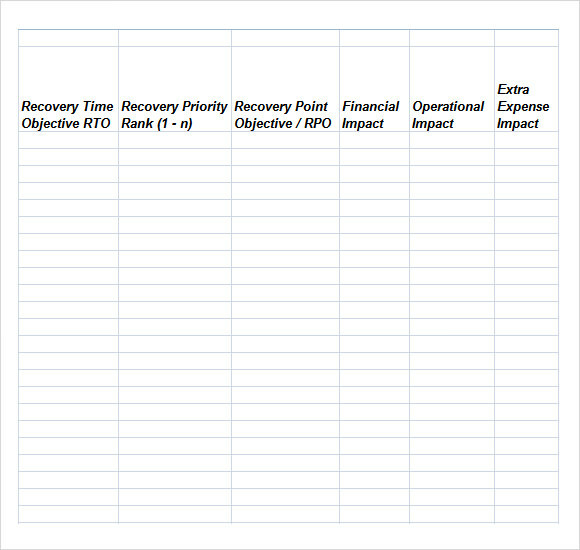 These templates enable you to enter the desired impacts or changes that the planner is planning to apply on a particular process, business line, or department. 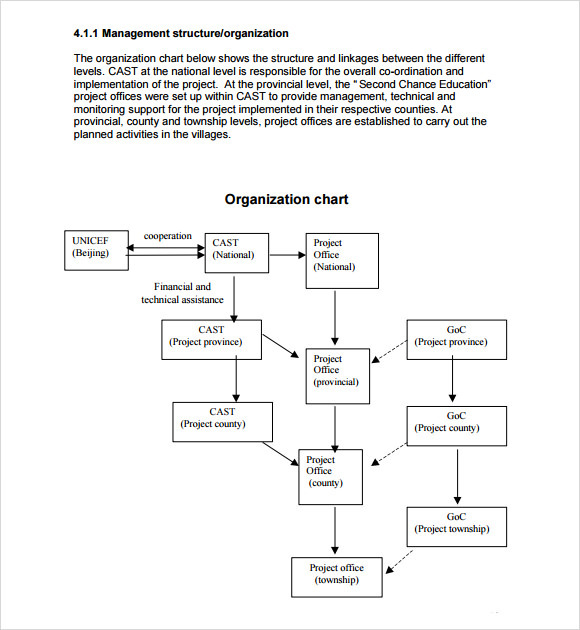 All of these templates can be customized to help you manage the changes that are planner and make arrangements for managing adverse effects of the change, if they occur. You may like Network Assessment Templates. Downloading and using these detailed templates can be quite useful for avoiding all the hassle of creating a plan with resource management, impact management, and risk analysis details. You can customize the sections of these templates to come up with a detailed risk protection and impact management plan. You can also see Technical Assessment Templates. Starting with serial numbers, department, business wing, and impact description in detail, all of these templates include various headers to describe the exact plan in detail. Additionally, you can make additions in the template by adding the names of responsible people and their contact details to ensure that the change gets applied to the planned departments in a smoother way.